December 1, 2016.- During this week the GAINN Action has been presented at the “2nd International LNG congress” held in Hamburg from the 28th till 29th November. The 2nd International LNG congress has highlighted the latest trends and technologies related to this sector. World leading companies’ top management and key specialists have attended the event in order to find new partners and to discuss the current projects. Mercedes de Juan, Technical Manager at Fundación Valenciaport, has participated in the session 5 (Part 2) “Switching to LNG as a fuel”. This session was focussed on the experiences of the implementation of LNG in different transport systems. 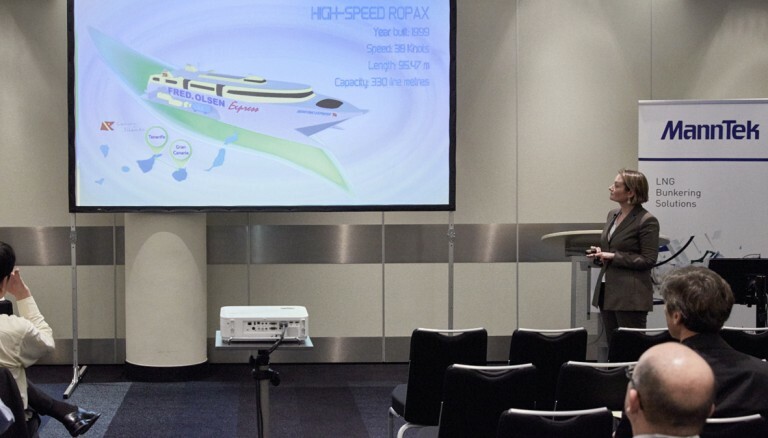 In this context, Mercedes de Juan presented an overview of the GAINN4MOS and GAINN4SHIP INNOVATION projects, including the main objectives and the GAINN’ strategy for the implementation of the LNG as marine fuel in the Southern European Countries.